The American Health Council is proud to honor Shyoko Honiden, MD as “America’s Best Doctor” for her outstanding contributions to the medical and academic fields. Dr. Honiden maintains a very active schedule as she serves as an associate professor of medicine and director of the Pulmonary & Critical Care Medicine Program at Yale School of Medicine in New Haven, Conn. Since joining the Yale University faculty in 2007, Dr. Honiden has garnered skills and knowledge in healthcare education, workforce development, business, leadership, management, pneumonia and lung disease. With a desire and passion to treat and educate critically-ill people, Dr. Honiden decided to pursue a career in the medical and academic field. After earning a bachelor’s degree in human biology with a focus on health policy and ethics from Stanford University in 1996, she remained at the same academic institution and earned a master’s degree in the Department of Health Research and Policy from the School of Medicine 1997. By 2001, she earned a medical degree from a joint program at Dartmouth and Brown universities. She later completed an internship, residency and fellowship at Mount Sinai Medical Center, where she garnered an array of skills that catapulted her into a prosperous career. Dr. Honiden clinical expertise focuses on complex care in the medical intensive care unit (ICU), specifically acute respiratory distress syndrome, sepsis and acute liver failure. As the director of the Pulmonary & Critical Care Medicine Program, Dr. Honiden conducts research on various metabolic issues like hyperglycemia. She is actively involved with ICU research projects and other quality improvement projects. She serves as a co-investigator for the National Institutes of Health-sponsored consortium for the Acute Liver Failure Study group and co-director for the high-fidelity simulation program for crisis management for medical residents. As an educator, Dr. Honiden serves as a course director of the Medical ICU Advanced Medical student and resident class and associate director of the pulmonary and critical care fellowship program. Throughout her career, Dr. Honiden has published over 20 peer-reviewed publications on various topics, including obesity, diabetes, obstetrics, infectious diseases and acute liver failure, among many. 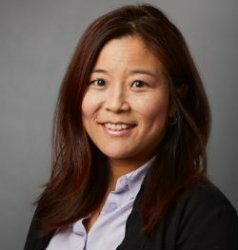 She is a member of the Yale New Haven Hospital Bioethics and Code 5/RRT committees, she is on the Frontiers in Pharmacotherapy of Respiratory Diseases Review Editorial Board and on both the Elective Review and Elective Directors committees at Yale School of Medicine. With a successful career at hand, Dr. Honiden plans to continue to educate future generations of medical students as well as promote the best clinical practices. Since its establishment in 1810, Yale University School of Medicine has earned a prestigious reputation through its world-renowned biomedical research, education and advanced health care. The institution promotes student-oriented learning through self-evaluation, independent thinking and tutorial setting. The School of Medicine conducts research within the pediatric field, allergy, AIDS, wound care, radiology and urology, among many.